Have you ever wanted to replace your existing Facebook email login with a new one? For example if you’re tired with your old Yahoo email address, and you want to make your new Gmail address your Facebook login…? 1) Make sure you are logged in to your Facebook profile (using your existing email login… obviously). 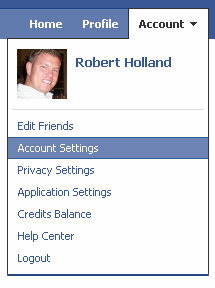 2) Once you are logged in to Facebook, click “Account” in the upper right hand corner. 6) When you click “Change”, a new window will appear for you to enter your new desired email address > go ahead and enter your desired email address. Whatever email address you enter will be your new login email for Facebook. You should get an email confirmation from Facebook confirming your new email login address. Is there a way to delete the original email address? 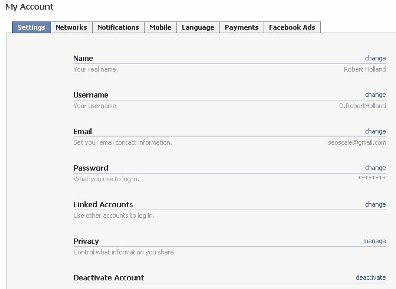 How do I change an email on a facebook account with an email from an existing facebook account? The first think you need to do is log into your Facebook account. the “change” link on the right hand side of the screen. how to change it?? i can’t.. i don’t know how to confirm.. how to confirm?